As we get older, we have a few options for where we want to live during the later years of our lives. 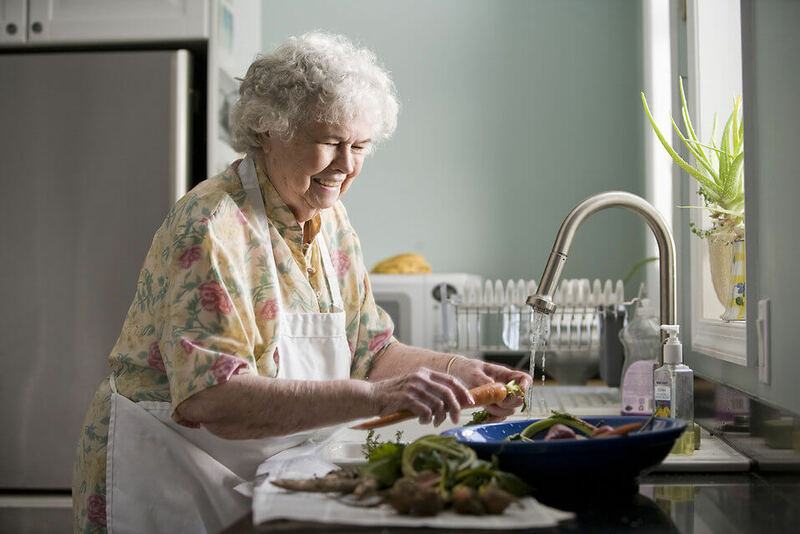 Many seniors are choosing to age-in-place by staying in their own homes. When this decision is made, there are a few things to consider about the property. Here are seven tips to make a home safe for seniors. Steps are the cause of most home accidents. Here are some ways you make a home safe for seniors. If there are steps leading into the house, build a ramp instead. If there’s a stairway, a stair lift may be a good idea. In two-story homes, make use of the first floor. Moving to a bedroom on the first floor will mean fewer steps to climb and fewer accidents. Have all appliances, like the laundry machines, moved to the first floor. For any steps that can’t be altered, make sure there are safety railings on both sides. Another room where accidents happen is the bathroom. There are a few different things you can do to make it safer. Adding non-skid materials to all showers and tubs will help to prevent slips and falls. A waterproof seat or shower chair will also help. If a wheelchair is being used, buy a raised toilet seat. Install grab bars in the shower and around the tub and toilet. Some older homes were built with smaller doorways. It’s a good idea to widen standard doorways to at least 36″ so they will be able to accommodate wheelchairs or walkers. If someone needs help walking, widen doorways to 48″ to allow for that assistance. Make sure the floors are smooth and present no tripping hazard. Rugs should be secured to the floor or removed. If there are steps, add a non-skid tread to make a home safe for seniors when a ramp isn’t possible. Non-slip wax could be applied to hard floors, making them safer. As we get older, our eyes are not as sharp as they used to be. Poor lighting int he home is the cause of many accidents for older people. Plenty of bright lighting will help make a home safe for seniors, reducing the risk of slips and falls. Railings can be beneficial in many areas. Hallways, bathrooms, and steps are places where having a handrail or grab bar helps make a home safe for seniors. Even though we have cell phones, an emergency alert button is always a good idea for a senior citizen living on their own. In an emergency, a monitor around the neck or wrist allows them to immediately access emergency services. Aging-in-place is about enjoying your retirement safely in your own home. It’s a good idea to make some changes that will make things easier if your mobility becomes limited. With some simple modifications, you can age-in-place where you are most comfortable. Lakeland Home Inspection Service provides home inspections and related services to Lakeland, Florida and the surrounding areas. Contact us to schedule an appointment.